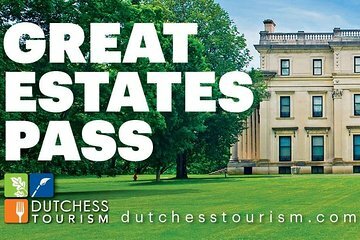 Descubra las impresionantes casas ricas en la historia del valle de Hudson con este pase Great Estates Pass. Visite la Casa Presidencial de Franklin Roosevelt, el Sitio Histórico Nacional Eleanor Roosevelt, Locust Grove Estate y los sitios históricos Vanderbilt, Wilderstein, Mount Gulian, Staatsburgh State y Clermont State. Explore estas casas ornamentadas, aprenda sobre sus antiguos residentes influyentes y disfrute de las impresionantes vistas del río y la montaña. Entrada con descuento a 9 sitios históricos más importantes. Escapada escénica de la ciudad. Not enough time to see all the sites/houses but you do get a great tour of FDRs house and Vanderbily's House. Eleanor's cottage, the tour guide was a newbie and tried very hard but ended up distracting you with her repetitiveness, apologies, and nervousness. You felt bead for the young girl. The site and visit and what you did hear was well worth the visit. You could spend hours of the day at FDR house and the Presidential museum, hence you will not see all the houses. I do not remember if there was a 2 day pass or 3 day pass or if it was limited to 1 day. Only were able to get in a few of the many offerings, but what we did was great. Hyde Park.......great little town with lots to do. FDR home and museum were wonderful. Val-Kil was charming. Guides were all amazing in their knowledge and obvious affection for the places. Great Italian restaurant, Coppola's....bread from Arthur Avenue was good even the second day when cold! Vanderbilt Mansion was also noteworthy. Grounds were meticulous house amazing guide very enthusiastic and knowledgeable. Beacon was great fun as well. Went there on a Sunday afternoon. Car show in progress. Many stores open. Fun bar where we were able to watch second half of GIANTS game. They won. Extra bonus! Did not have time to visit other historic site, but have the bargain pass that we will definitely take advantage of going forward.